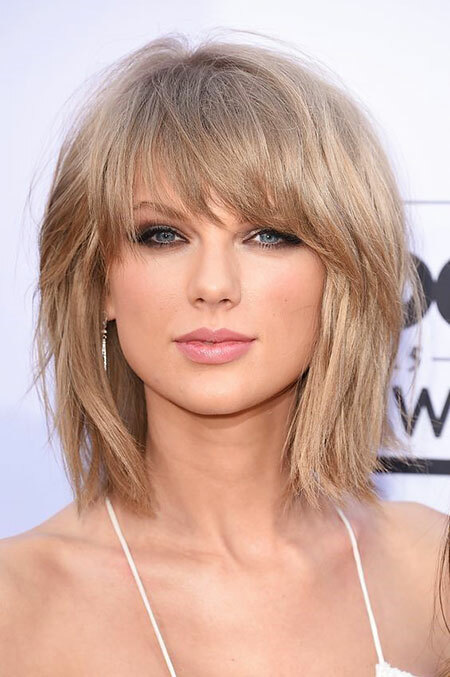 You can twist your short layered hair with complementing bangs to get a new, more appealing look. 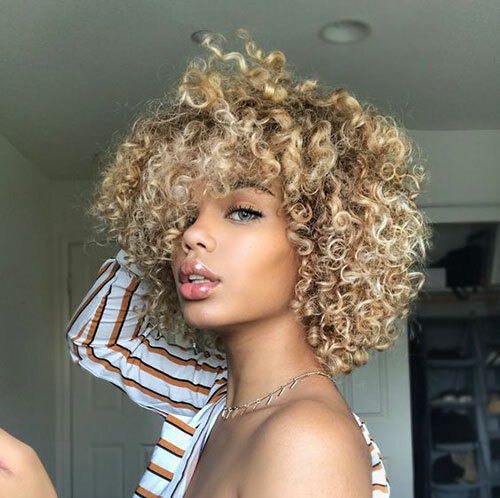 Added gorgeousness is just another plus! 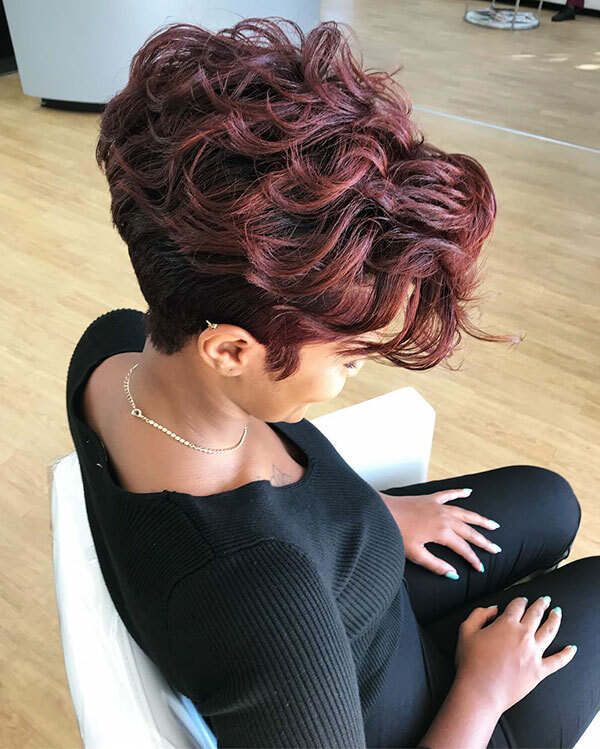 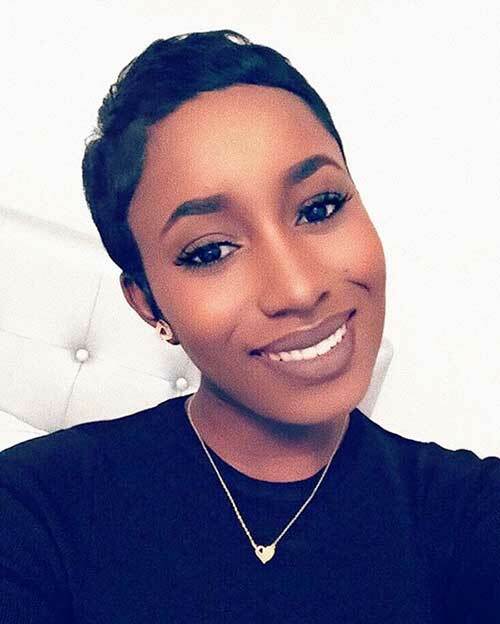 Short layered hairstyle with bangs is one of the most low maintenance hairstyles that simultaneously make the wearer look stunning. 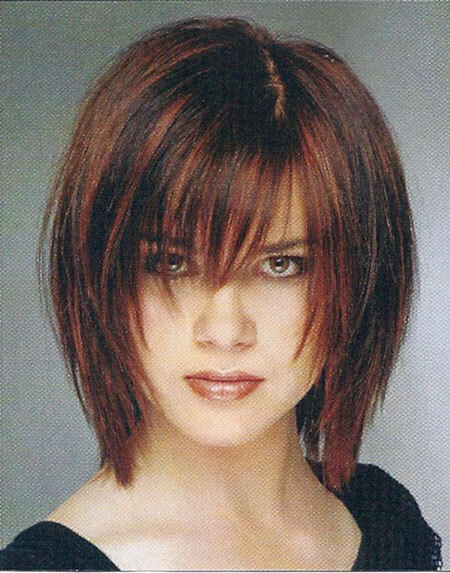 You can play with color and diversified fringes. 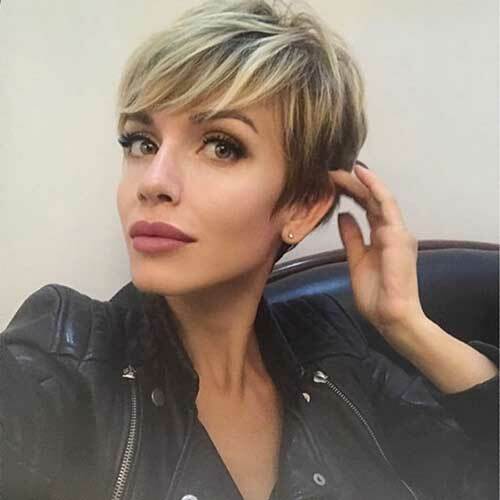 Here are a few examples that will help you to make your customized short layered hairstyles with bangs. 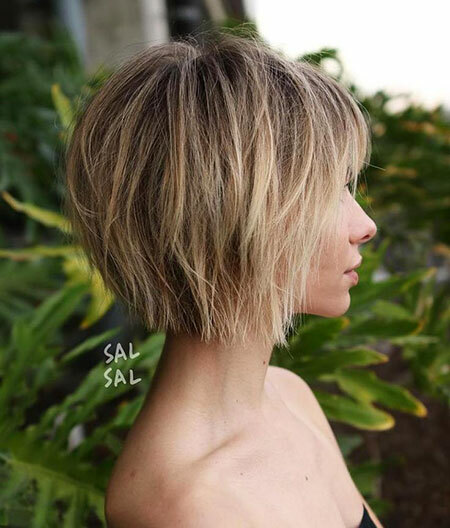 This blonde chic length short bob with bangs is the perfect hairstyle for any occasion. 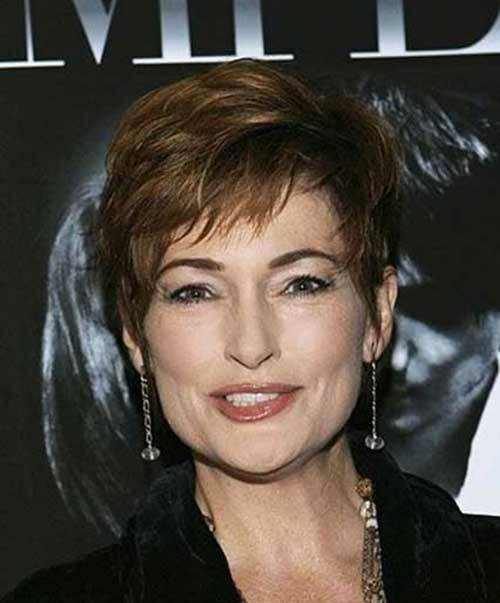 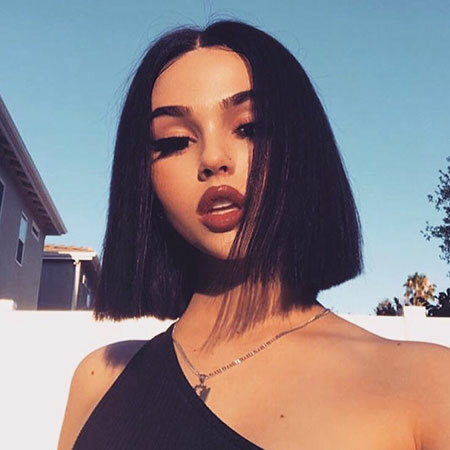 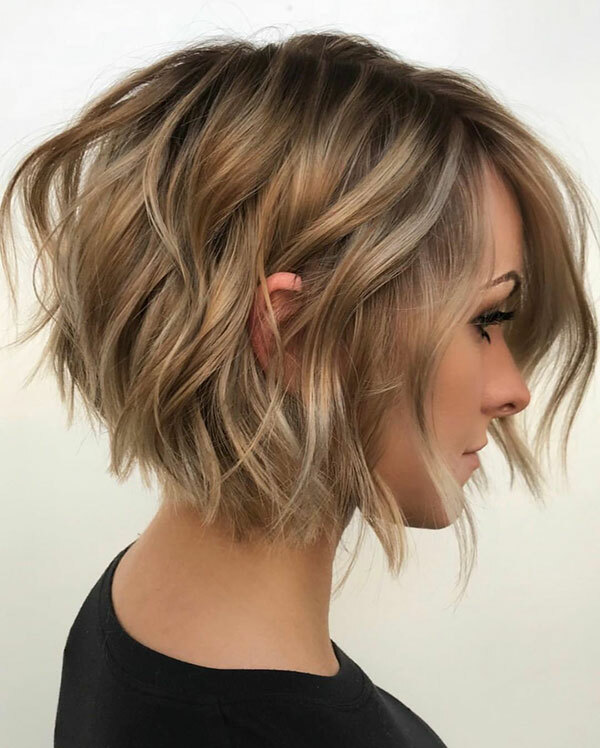 Here is the idea of a short hairstyle for straight fine hair. 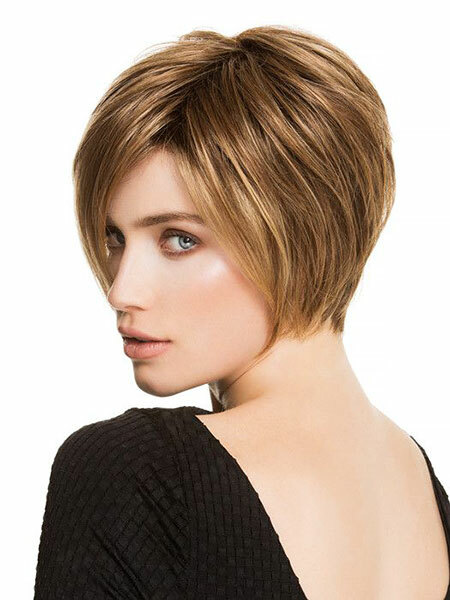 This escalates your elegance accentuating the personality in a positive way. 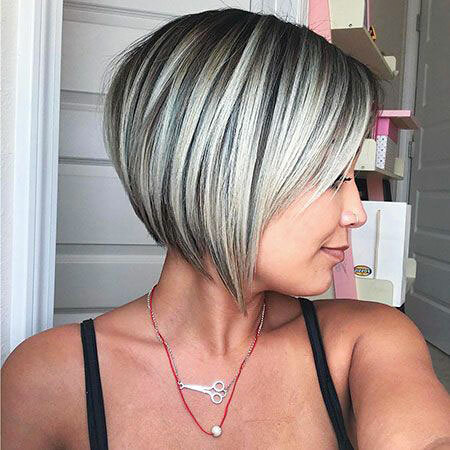 Absolutely feminine hairstyle it is! 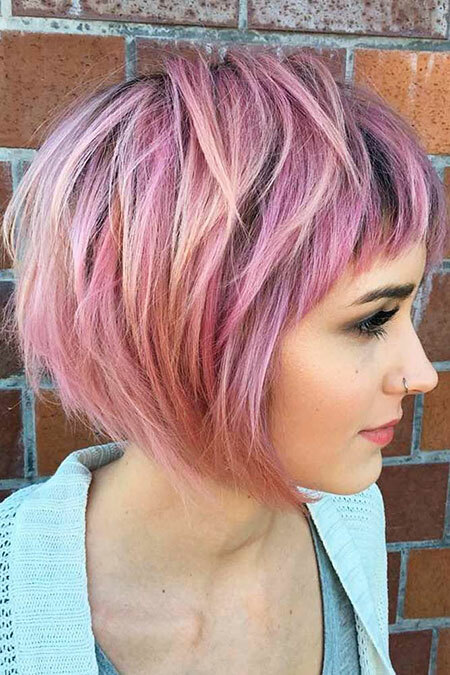 This pink layered short bob styles might be the best choice if one wants to have a hip-hop and rock style. 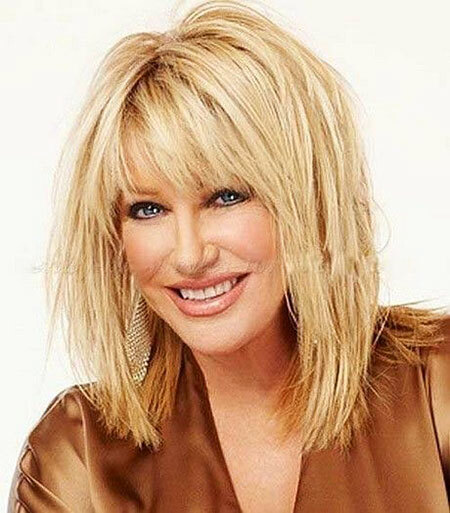 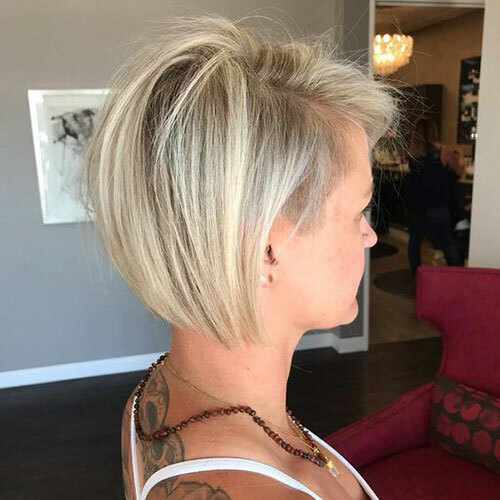 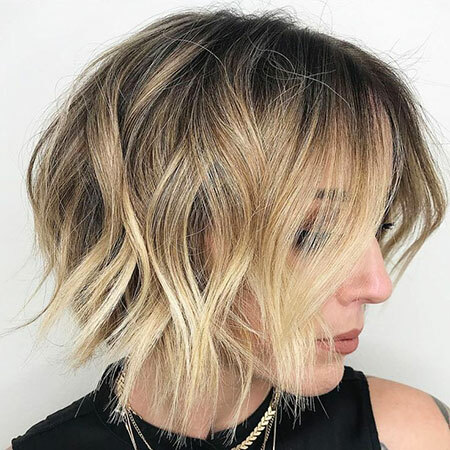 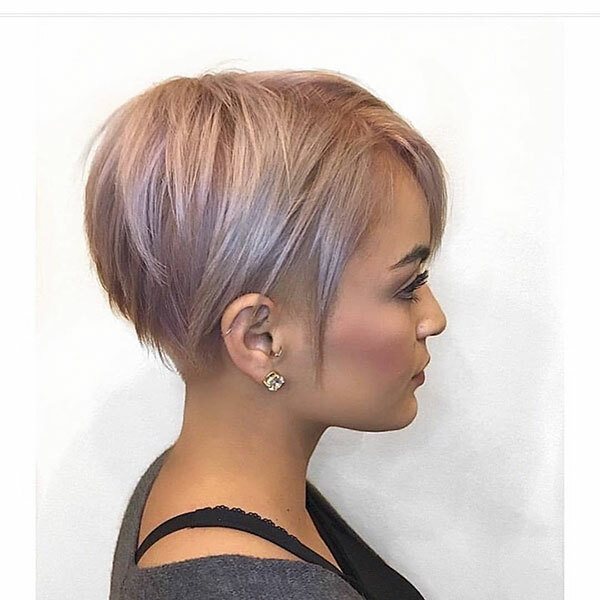 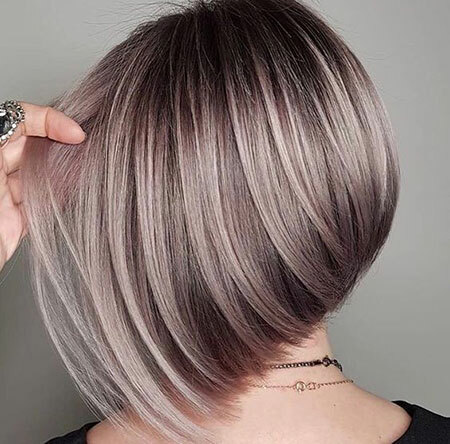 This blonde layered short hair with bangs will absolutely decrease your age! 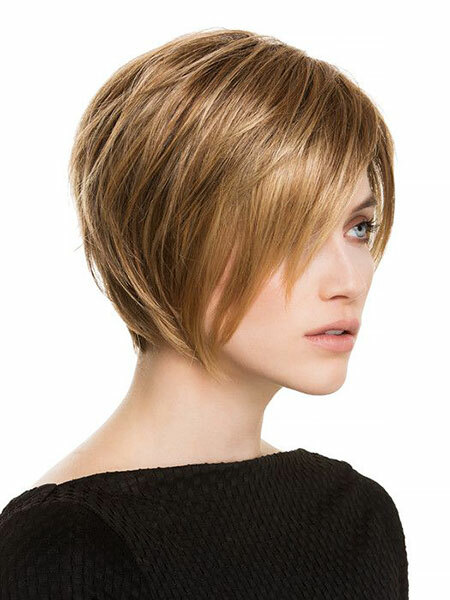 This shiny golden hair is the eye-catching hairstyle for anyone. 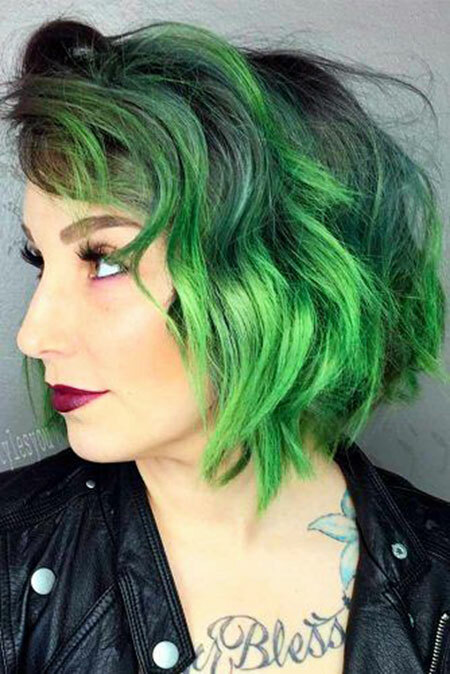 Adorn your round face with this hairdo and you’ll simply outperform the other trendy maniacs. 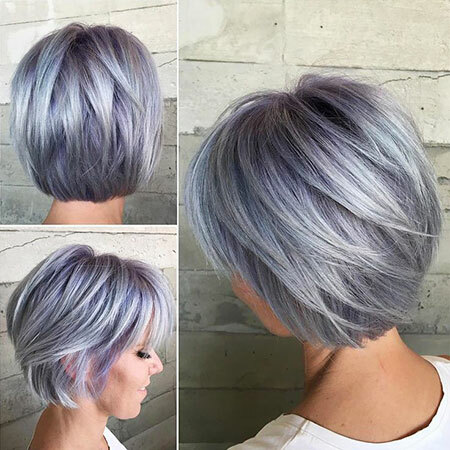 One of the most phenomenon looks can be achieved with this hairstyle. 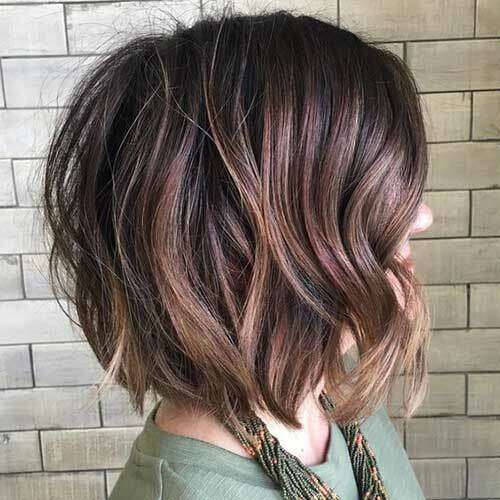 Easy, sweet and simple! 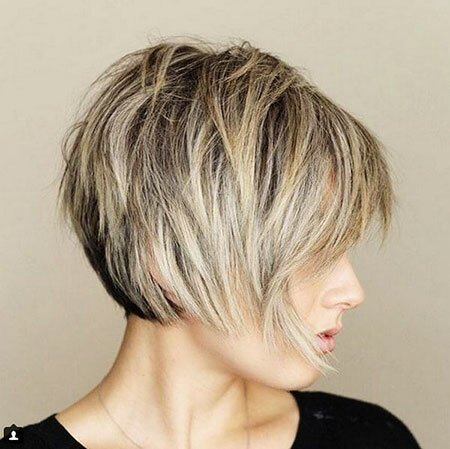 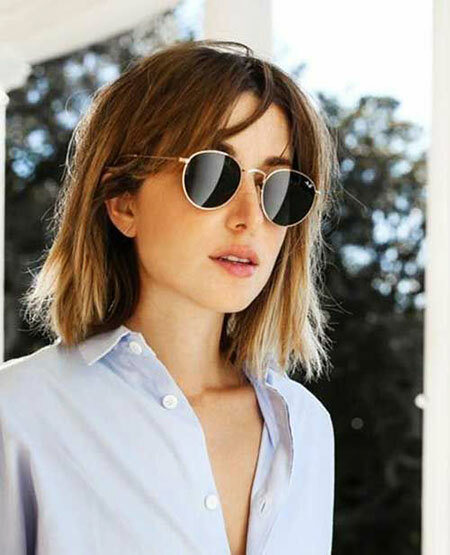 Style your mane like this and a badass look is guaranteed!